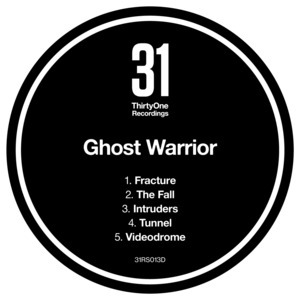 Haunted minimalism on Doc Scott?s 31 courtesy of Hungarian heavyweight Ghost Warrior. Tapping into the same highly designed spirit as Clarity, ASC or Sam KDC, each cut is tailored specifically for the darkest hours of the night when even the shadows get paranoid. Highlights include the raw rolling tribalism of ?Intruders? and the echo chamber creepiness of ?Videodrome?, the Burialesque two-step clinks and clanks of ?Fracture? and the obscene bass texture of ?The Fall?. Don?t have nightmares.